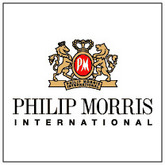 Philips Morris USA Inc. is one of the leading tobacco companies that manufactures cigarette. William F. Gifford is the president and chief executive officer of the company. Philip Morris USA is a subsidiary of Altaria. A 450,000 square feet of research center was founded in 2007 to improve the quality of current products and to manufacture various new products. They launched spit-free and smokeless tobacco under the brand name Mariboro Snus. The Center for Research & Technology was formerly known as Philips Morris USA Center for Research & Technology. The company has made annual Master Settlement Agreement compensation of almost $3.1 billion. There are currently 0 consumer reviews about Philip Morris International Inc available. Share your review. Please take a note that you are about to post a public review about Philip Morris International Inc corporate office on CorporateOffice.com. This review will be public, so please do not post any of your personal information on this website. If you would like to contact the corporate offices of Philip Morris International Inc, please use their contact information such as their phone number, website, and address listed above to contact them. However, sometimes staff from Philip Morris International Inc headquarters do read the reviews on this website.